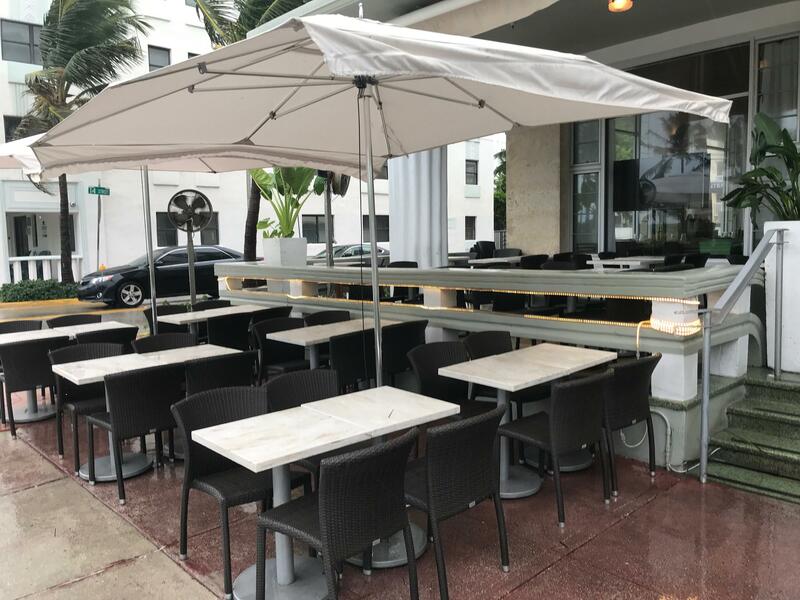 Rain and wind from Tropical Storm Gordon affected business for restaurants along Ocean Drive in Miami Beach. The center of the storm has now moved west into the Gulf of Mexico, and the National Hurricane Center issued a hurricane warning for parts of the Gulf coast. Rain will continue and flooding threats also remain in Miami-Dade, Broward and Monroe counties through late Monday evening. South Florida will see a total of four inches of rainfall by Tuesday morning, with as much as eight inches in some spots, according to the National Hurricane Center. More than 3,000 people across the region have already lost power from the storm, according to FPL's Powertracker page. Rain and wind also left restaurants empty and many tourists on Miami Beach wondering how to spend their Labor Day. "I don't know what to do," said Charles Mahedesportes, who is from France and visiting Miami Beach for two days before heading to Key West. He said he would have gone to the beach if the weather was nicer, but instead he will try to buy presents for relatives back home. Cindy MacIsaac said she and her husband were eating to pass the day. They just returned from a cruise to the Caribbean and will head home to Massachusetts on Tuesday. "We were hoping to spend one night in Miami Beach and go to the beach and see the beautiful Art Deco architecture. But doesn't look like that's gonna happen," said MacIsaac as she stood in the rain, wearing a rain jacket. The storm also affected restaurants and hotels along Ocean Drive in Miami Beach. Some managers and servers stood near empty tables and chairs outside their restaurants. They said Labor Day is usually one of the busiest times, but not this year. "It hurts our employees," said Lucas Bond, the manager of Il Bolognese. "You have the waiters—they're depending on their sales. But if they don't make a sale, they don't get paid."